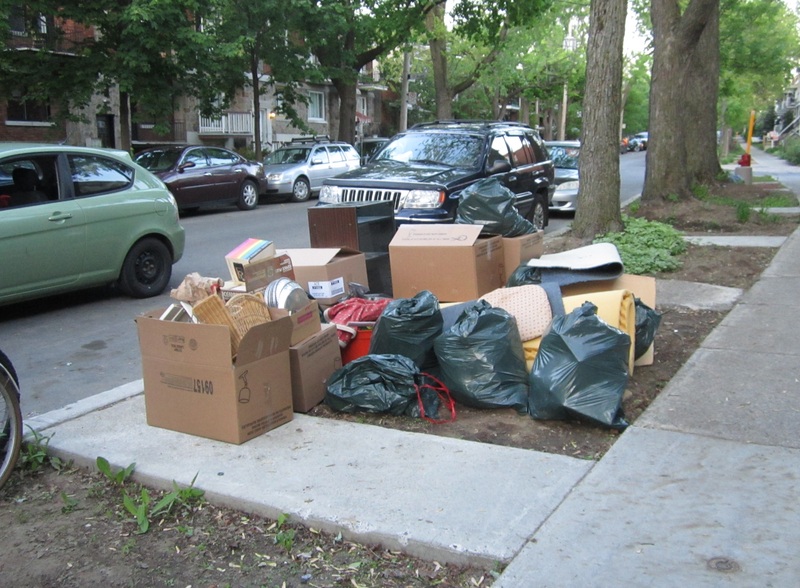 I came across this pile in Rosemont over two months ago now. I was busy at the time and put it all into storage, only recently getting the photos I needed to post about it. 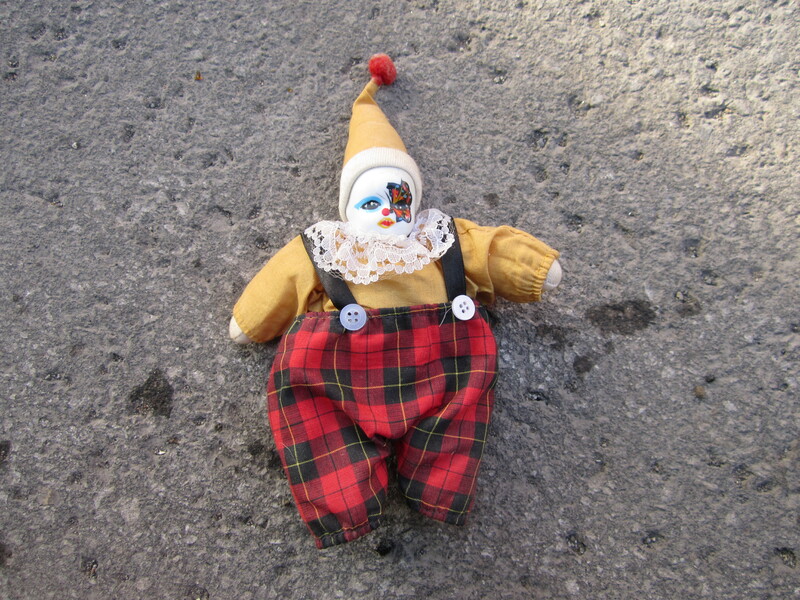 I remember the neighbour telling me that the things belonged to someone who had passed on. I saved a whole bunch of books, most of which were published between the late 1800s and 1940s. 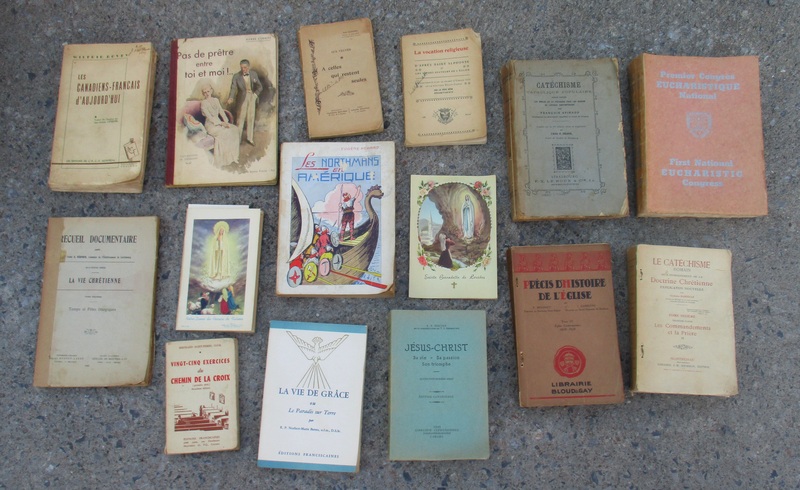 The vast majority were French and many were Catholic writings. Based on my trash picking experience I’d guess that most Québécois families in that period owned similar books. These books have become anachronistic in post Quiet Revolution (circa 1960s) Quebec and are now being thrown out in droves. 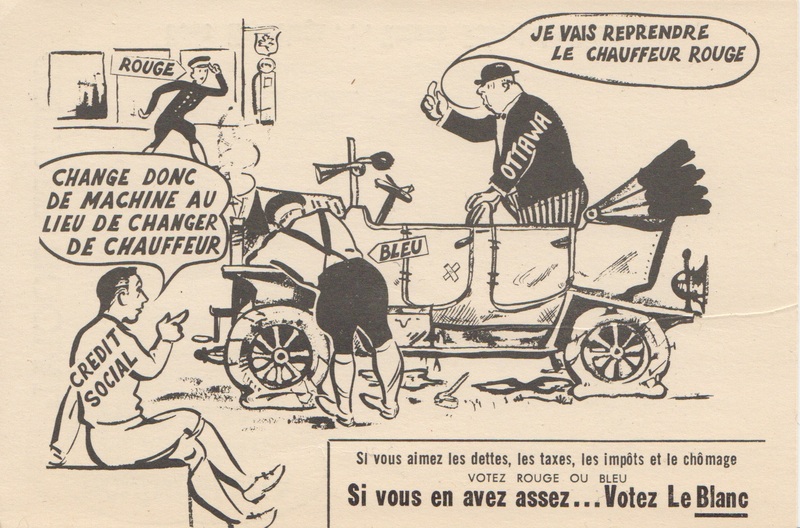 I love old political ephemera and I very much enjoyed finding this old flyer, which is roughly the size of a postcard. 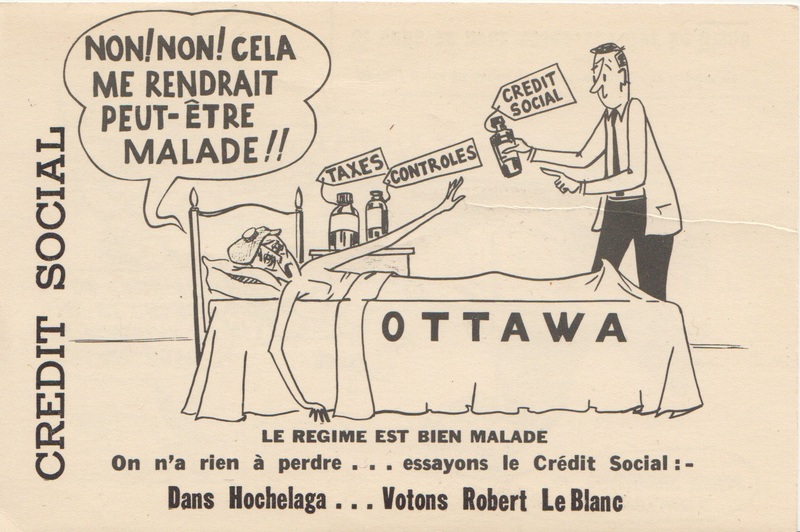 It was made in 1962 for the Social Credit Party of Canada, a now defunct right-wing political party that was active between 1935 and 1988. It’s heyday seems to have come in the 1960s when they won a little over 11% of the vote in two different elections. The candidate being promoted is Robert Leblanc of Hochelaga, who ran in just this one election and won 9% of the vote. 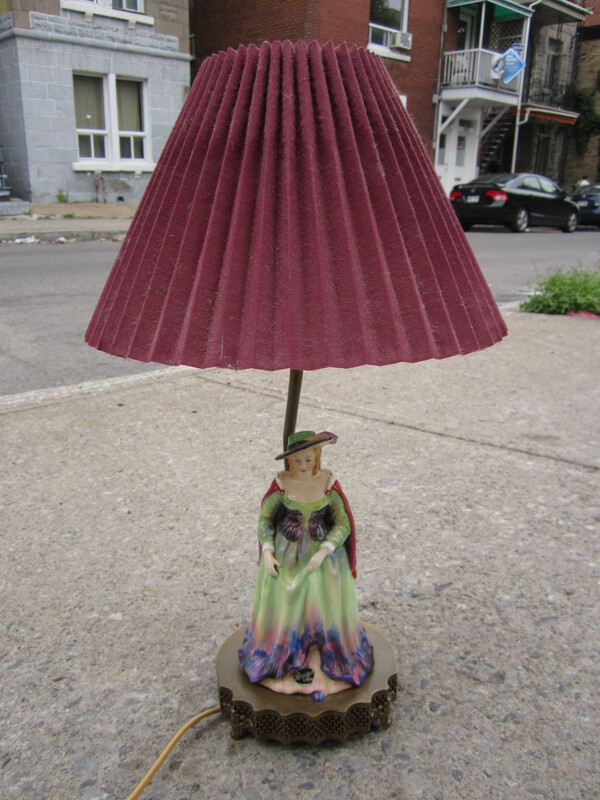 … and a very kitschy lamp. It’s marked as being made by Paragon, though I doubt it’s the same company that made many of the very nice teacups I found last year. Nonetheless, I did find a similar lamp that sold on eBay for over 100$ . Here are the rest of the noteworthy items. 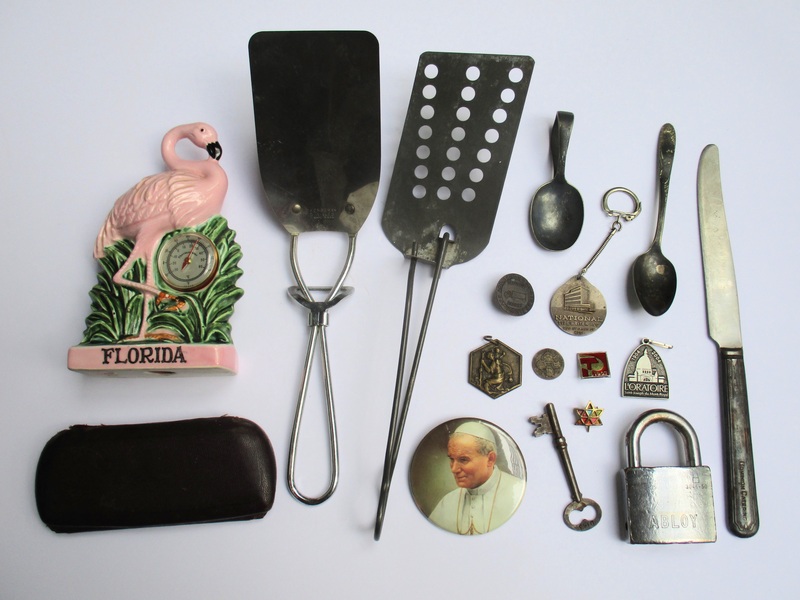 I really like the vintage souvenir flamingo thermometer on the far left. The old spatulas are pretty cool too. The Pope John Paul II pin is another one of those things I come across more in predominantly Québécois parts of town. 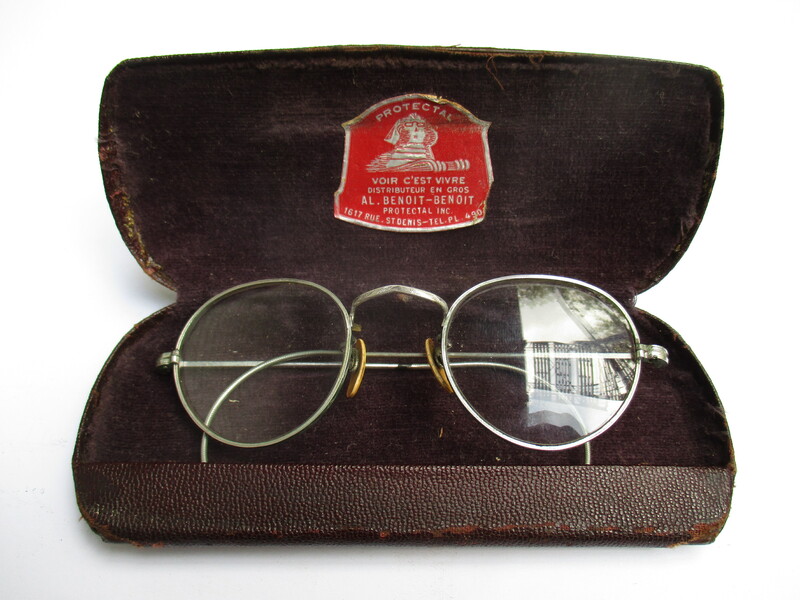 The glasses were the wire-rim type popular I think in the 30s and 40s. They’re not particularly exceptional, but I do appreciate the old Protectal logo; it features an image of the Sphinx wearing glasses. I’m always a sucker for old baubles. 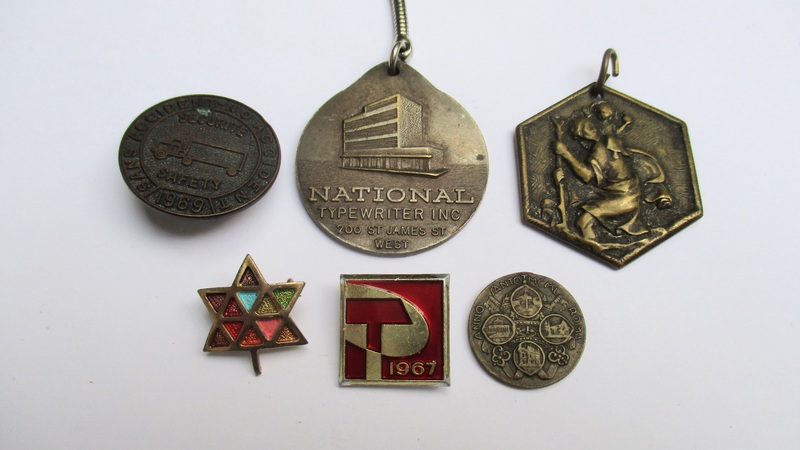 My favourite of this bunch is the National Typewriter key-chain at center, which was likely made in the early 50s. To its left is a badge from 1969 likely given out by a company to reward a year without any accidents. To its right is a what looks to be a St Christopher pendant. At bottom left is a Canadian centennial year (1967) pin. According to my mom nearly every Canadian living at this time had one of these. At bottom center is another pin apparently given out by the Soviet pavilion at Expo 67. One like it recently sold on eBay for 10$, which surprised me a bit as they seem to be fairly common. 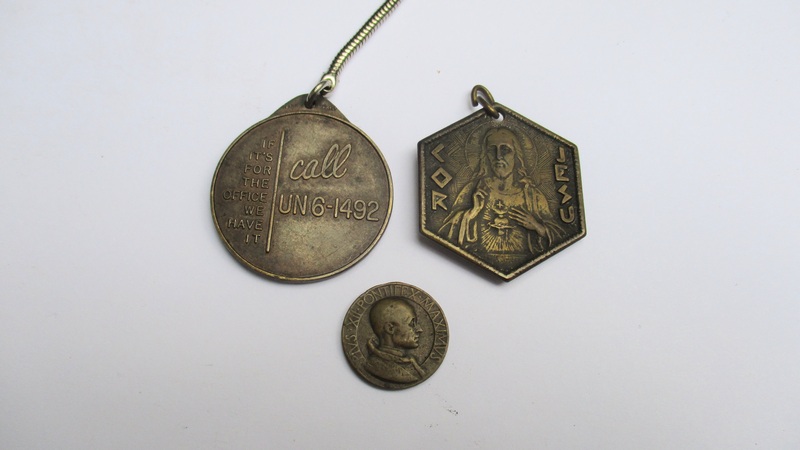 Finally, at bottom right is a token or medallion commemorating the 1950 Holy Year. Here are the opposite sides of the items with noteworthy backs! I visited the same spot for a couple more weeks but didn’t find anything of note. Again, I’m left to wonder if I missed out on some cool stuff in the weeks prior. I just have to tell you how very much I enjoy your blog! 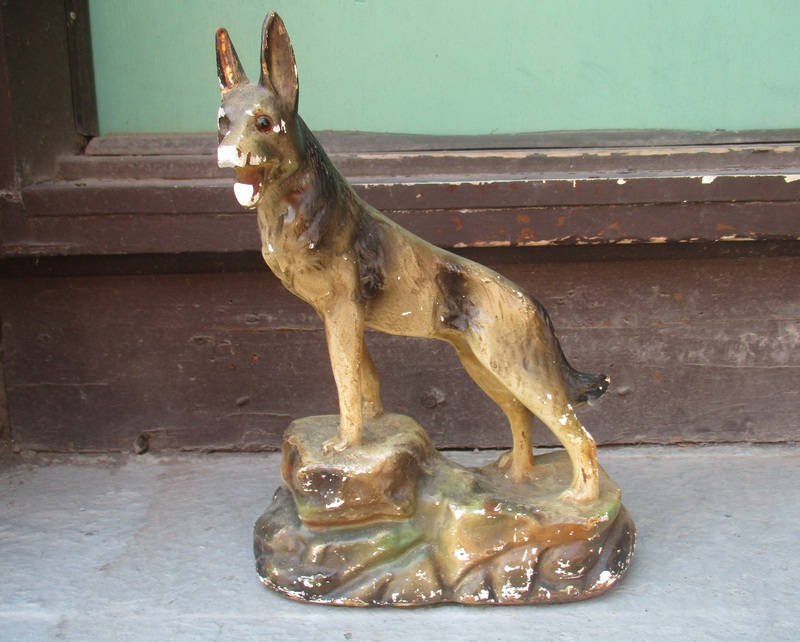 I love vintage and antique items and appreciate your research and history lessons with the things you find and rescue. I am ALWAYS astonished by what you find! ALWAYS astonished describes me too. & I echo your comment. That 1967 pin definitely came from the USSR pavillion at Expo ’67. The minute I saw the photo I recognized it. I had one, I have no idea where it might be. Sweet lamp! Love those old glasses!